Police officers are law enforcement officials who are tasked with upholding law and order in society, apprehending criminals, and preventing crimes. As such, their job duties are varied and wide ranging. During the course of duty, a police officer can be tasked with anything from carrying out patrols, filing reports, and even undertaking investigations.This is a profession which is both physically and mentally challenging. The harrowing situations that police officers find themselves in require quick thinking and decisive action. In order to become a police officer, individuals must undergo strenuous training and testing. If you’re interested in becoming a police officer in the state of Alabama, here’s what you need to know. Physical agility tests Candidates must be able to do 22 pushups in one minute, 25 sit-ups in one minute, run 1.5 miles in less than 15 minutes and 28 seconds, scale a 6ft fence, walk 5 yards on a balance beam, push a car 15ft, drag a dummy weighing 165lbs 5 feet, and be able to crawl through a 2’ x 2’ window opening. First aid exam Written exam, the score for which cannot be less than 70%. Legal issues exam Written exam, the score for which cannot be less than 70%. Firearms training Candidates must go through 43 hours of training in the use of handguns, shotguns, and patrol rifles. You must qualify in two out of three attempts at the firearms course. All in all, candidates must log 480 hours of basic academy training in order to be sworn in as police officers. Once candidates have completed their basic training they are sworn in as police officers and must complete a field training program under the supervision of a Field Training Officer in the Patrol Division. During this phase of their training, trainee police officers get to make the crucial link between what they have learned during their academy training with the actual performance requirements in the line of duty as a field officer. 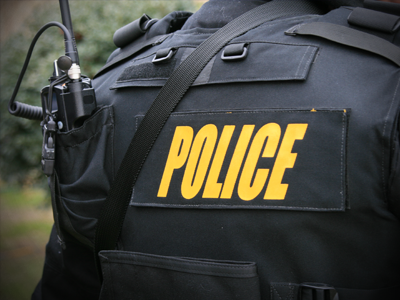 Since police officers are an integral part of society, the demand for law enforcement officers is typically always strong. O*NET Online projects that between 2014-2024, the projected growth of the profession will be between 5-8%.